Women can wait until age 45 to start getting annual mammograms and cut back to every other year once they turn 55, according to new breast cancer screening guidelines from the American Cancer Society. The recommendations, published in yesterday’s issue of The Journal of the American Medical Association, are a major shift from the organization’s previous guidelines, which advised women to get annual mammograms starting at age 40. They are intended for women with an average risk of breast cancer, meaning no family history of breast cancer or prior radiation treatment to the chest. 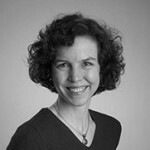 These changes reflect accumulating data showing that for women younger than 45, the harms of mammography screening likely outweigh the benefits, according to Dr. Nancy Keating, professor of health care policy and medicine at Harvard Medical School who coauthored an editorial discussing the new guidelines. “For an average-risk woman in her early 40s, the risk of breast cancer is less than one in 100, or about 0.7%,” says Dr. Keating. That’s a lot lower than most women believe, partly because many women have heard the statistic that one in eight women will get breast cancer. But that statistic is a lifetime risk and applies only to 85-year-old women. 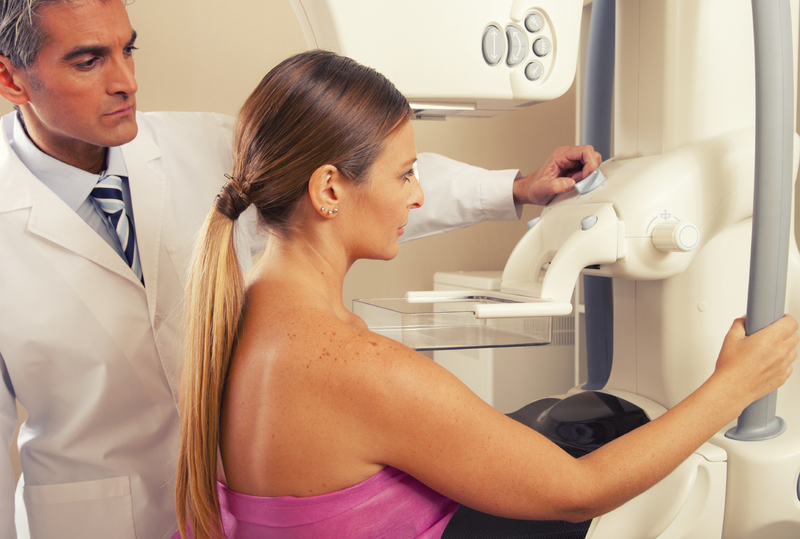 Women also tend to overestimate the benefits of mammography. We’re told that mammography saves lives. In fact, mammography only reduces the relative risk of dying by about 20% overall, and by just 15% for women in their 40s, Dr. Keating explains. “If we screen 10,000 women in their 40s every year for 10 years, we’ll find about 190 to 200 cases of breast cancer. About 30 women will die of breast cancer regardless of the mammogram, and about five will have their lives saved because of the mammogram,” says Dr. Keating. So the benefits of mammography in younger women are real, but quite small. What about the harms? Of those 10,000 women, as many as 6,000 will be called back for a second mammogram because the radiologist saw a suspicious area. Between 700 and 1,000 will undergo a biopsy that ends up not being cancer. These biopsies are stressful, uncomfortable, and inconvenient. But they aren’t the biggest problem. The chief harm is overdiagnosis, which means being diagnosed with a cancer that never would have caused any health problems if left alone. Because doctors can’t distinguish these slow-growing, low-risk tumors from more dangerous ones, some women end up receiving surgery, chemotherapy, and radiation that might not have actually been necessary. There’s a great deal of uncertainty about how much overdiagnosis exists, but the best estimate to date is that it applies to about 19% of all breast cancers. That translates to 36 of the 190 cancers diagnosed in the example of 10,000 women. The risk of breast cancer rises with age, so it might seem counterintuitive that the recommendations call for less-frequent mammograms once women hit their mid-50s. But older women tend to have less aggressive tumors than women who are diagnosed at younger ages. Getting a mammogram at two-year intervals lowers the harms while still reaping the benefits of the test, Dr. Keating explains. While the previous guidelines advised women to keep getting mammograms as long as they’re in good health, the new ones add another stipulation: a life expectancy of at least 10 years. This reflects the understanding that for most women age 70 or older and for those who have other illnesses, finding a breast cancer and treating it is unlikely to change their lifespan. (In the United States, women live to age 81, on average.) This recommendation may prevent overdiagnosis in older women. Women should discuss their own situation and preferences with their health care provider, Dr. Keating says. For her own patients, she uses the National Cancer Institute’s Breast Cancer Risk Assessment Tool to calculate their risk and talks to them about their family history. For those with a low or average risk, she has them consider two questions: How do you feel about being diagnosed and treated for a cancer that, perhaps, you never needed to know about? How would you feel if you were diagnosed with breast cancer and hadn’t had a mammogram? “Would you be up at night wondering, is there anything I could have done that might have lowered my risk? For those people who aren’t comfortable with a small risk, I’d say go ahead and get the mammogram,” says Dr. Keating. I have some questions. Please tell me about 3D Mammograms that someone mentioned. Where are they available? Also, can you tell me where Thermograms are available and more about them. Your post is very great!..So informative, I’m gonna try this. Thanks for sharing. With the ridiculously high rate of breast cancer, I find it inconceivable that we are expected to go by these new guide lines. Additionally, the only test us woman must insist on, is the 3-D mammogram. My 42 year old daughter is dying from breast cancer. A self examination found the lump. She underwent chemo followed by radiation. Breasts clean, now in her brain, liver, lungs, and spine. So saying 45 is a good age to start is simply BS. PS: their is no history in the family for breast cancer and she never smoked. Personally I think it is wrong to set a starting age. I don’t know the source of your information that there is little radiation risk to women over 40. Could you supply it? However I am aware of a plethora of studies showing clear cut damage from radiation risk. And many scientists, researchers and MD’s who concur that radiation is cumulative and carcinogenic. Those that I know personally are here in San Francisco Bay Area. I recently was at a symposium where this topic came up and all 4 presenters discussed dangers of radiation. And as explained to me by 2 scientists from Lawrence Berkeley Lab working on DNA damage from radiation and both with ties to NCI, (see Dr. Costes, a nuclear engineer and Dr. Tang, bioengineer, at their site exogenbio.com) the damage to DNA is real and mutations occur in repair causing cancer. I don’t think women have it explained to them that DNA breaks from exposure to radiation, toxins, viruses, etc and the mutations that occur from poor DNA repair begins a possible cancer. Colin et al., “DNA double-strand breaks induced by mammographic screening procedures in human mammary epithelial cells.” Int J Radiat Biol, 2011. “This study highlights the existence of DSB (DNA double-strand breaks) induced by mammography and revealed by γH2AX assay with two major radiobiological effects occurring: A low-dose effect, and a Low and Repeated Dose (LORD) effect”. There isn’t enough room here to show more than a tiny window into the damage from radiation from mammograms. This is very confusing to me and it appears both sides present compelling arguments though they have opposing points of view. I am an intelligent woman that just wants to know what to do since I Am now sitting waiting to have my annual mammogram , I may walk out. It is unfortunate that Dr. Corliss did not actually speak with experts who care for women with breast cancer. She neglected to point out that all the major organizations, including the American Cancer Society, agree that the scientific evidence shows that the most lives are saved by annual screening beginning at the age of 40. The ACS changed this to a “qualified recommendation” not based on the science, but because, as they state, although ” The majority of individuals in this situation would want the suggested course of action, but many would not “. In other words the ACS Panel went beyond what the evidence shows and tailored their recommendation to what they thought individuals might prefer. This should not be the panel’s decision, but should be up to the individual. Dr. Keating neglected to point out that the term “harms” is used to frighten women and their physicians. In fact, the major “harm” that is cited is that women may be recalled after a screening examination for a few extra pictures or an ultrasound study. Not only is the recall rate the same as for cervical cancer screening (Pap testing), but the vast majority of recalls show that everything is alright. The risk of developing breast cancer goes up steadily with increasing age. Although it is the most common non skin cancer among women, fortunately the vast majority of women do not develop breast cancer in a given year. To use Dr. Keating’s argument – You could say “Well the average risk of having breast cancer this year for a woman in her early fifties is only 2 in 1000, and for a women in her early sixties it is only 3 in 1000.” – why bother? Seatbelts only save a few thousand lives each year among 350,000,000 Americans – Why bother? The various scientifically performed studies actually show that the decrease in deaths from screening is 20% to more than 40%. Regardless, isn’t saving 15 lives out of 100 worthwhile? I am surprised that Dr. Keating did not mention the study done at our hospitals (The Brigham and MGH) that showed that more than 70% of the women who die from breast cancer are among the 20% who were not participating in screening. This applied to women in their forties as well. ON THE “HARMS”: Again the “harms” are inflated numbers. The recall rate in the United States is 10%. This is the same recall rate as for women having cervical cancer testing (Pap test) and most questions are resolved by a few extra pictures or an ultrasound. How many fewer recalls are equal to allowing one woman to die, unnecessarily, from breast cancer? Only 2% of women are advised to have an imaging guided needle biopsy in an outpatient setting using local anesthesia (invasive but very safe). These biopsies reveal cancer 20-40% of the time which is a high yield. Dr. Keating fails to point out that in the days when women were biopsied because of a “lump”, by a surgeon in the operating room, the yield of cancer was much lower (15%) and the cancers were larger and less likely to be curable compared to those detected by mammography. ON OVERDIAGNOSIS: The suggestion that there is a high rate of “overdiagnosis” has been shown, repeatedly to be manufactured. Actually, there is little if any “overdiagnosis” of invasive breast cancers. The management of the very early forms of breast cancer known as Ductal Carcinoma in Situ (DCIS) is complicated, and there are legitimate debates about how best to treat these lesions, but invasive cancers are “real’ cancers and if left to become palpable will be just as lethal. The concept of “overdiagnosis” of invasive cancers has been created by faulty analyses. Unfortunately, not all medical journals review papers carefully, and a number of papers have been published that are scientifically unsupportable. They have all been refuted. If there were so many invasive cancers that would disappear on their own, why has no one ever seen a single invasive breast cancer disappear on its own? Dr. Keating has never seen one because those of us who actually care for women with breast cancer (unlike the ACS and USPSTF members) have never seen this happen because it is a made up concept. ON TIME BETWEEN SCREENS. I would agree that cancers tend to grow faster in younger women than older, but as with anything this is not true for all women. Women die from breast cancer that has spread from the breast to other organs where it is the destruction of the other organ by metastatic cancer that causes death. The goal of screening is to try to remove the cancer before this happens. The spread of cancers increases with the size of the cancer. Why would you give a cancer two years to grow and spread instead of screening every year? The National Cancer Institute Cancer Intervention and Surveillance Modeling groups (CISNET) all agree that the most lives are saved by annual screening starting at the age of 40. ON RISK: It would be wonderful if we could tell which women were going to develop breast cancer and concentrate on only screening them. Unfortunately, this is wishful thinking, and anyone who suggests we can screen based on risk is misleading women. Inheriting a compromised BRCA1 or BRCA2 gene places a woman at very high risk, but these only account for 10% of the breast cancers diagnosed each year. If we add women with a family history and the other factors that increase risk, this would account for another 15% of breast cancers each year. Adding these together we find that only 25% of breast cancers occur among women who have known factors that elevate their risk. This means that 75% of women who develop breast cancer each year have none of the elevated factors. If we only screen high risk women, the vast majority (75%) of women who develop breast cancer will not have the benefit of early detection. WHY AGE 40? : The age of 40 is the appropriate threshold because the most rigorous scientific studies, the randomized, controlled trials (RCT), included women ages 40-74 and the RCT have proven that early detection saves lives. These have been confirmed in numerous more recent observational studies. There are no biological or scientific data to support any other threshold. Women should be provided with accurate information so that each individual can decide for herself whether or not to participate in screening. It is claimed that the major decline in breast cancer deaths that has occurred since 1990 (the first time in 50 years) is due to improvements in therapy. There have certainly been major advances, but the most lives are saved when breast cancers are treated earlier. As more and more women have participated in screening the death rate has fallen so that now there are 35% fewer breast cancer deaths than before screening was available. Unfortunately, there are still 40,000 women who die each year despite improvements in therapy. The experience in the Harvard hospitals would suggest that most of these women were not participating in screening. Why would we scale back screening when we have seen major advances? Mammography is not the ultimate answer to breast cancer. It does not lead to a curing all cancers, but there is no universal “cure” on the horizon and early detection gives a woman her best chance to be cured. While we search for the cure women should be encouraged to participate in annual screening starting at the age of 40. Brilliant. Hopefully, women, doctors and policy makers will read it. I was diagnosed with DCIS about 18 months ago and found very confusing information out there, along with doctors who were eager to treat me very aggressively, presumably for the benefit of their research. Fortunately, I found a competent and compassionate doctor at Sloan who was way ahead of the curve. She proposed the “less is more” approach, which has since become prevailing wisdom. Treat thoughtfully, not hysterically, and screen, screen, screen. The hero of my story is my radiologist. My post was supposed to be in reply to this one from Daniel Kopans, MD. I do not know why it didn’t get properly placed. I am asking him the source of his info, which he neglects to give, that there is no damage from radiation. this is not true and misleading. this shift of guideline is harmful to woman with more aggressive cancers who may benefit more from the early detection. Based on this new guideline, the insurance company will deny the coverage of any women who want to have mammograms before reaching 45. please see the article from the Washington post. Well I have a question for the doctor. I heard a case that a woman about 47 year old did the mammogram and the result was clear and after two years she did it again and the doctors discovered some malformations. Don’t you think that after doing once mammogram can take the risk for a malformation because the radiation. The good news is that there is little if any radiation risk to the breast for women ages 40 and over. There is certainly no measurable risk and even the estimated risk is very small to nonexistent. It is the immature, undifferentiated breast in women in their teens and early twenties that are susceptible, but the risk drops dramatically to very low by age 30. Even when radiation is a risk to the breast, its effects do not appear for 8-10 years. The “malformation” had nothing to do with the mammogram.